This is a story courtesy Mike Veseth and was initially published on the Wine Economist pages on Jan the 5th 2011. I found it quite entertaining, though, lacking some important criticism who only a person living in Russia might possess. The BRIC nations used to be characterized as “emerging” or “transition” economies and in the case of Russian wine these terms still apply, but in a complicated way. Russia is an important wine country (the vineyards are down south, on the Black and Caspian Seas); it produced about 7.3 million hl of wine in 2007 according to OIV statistics, which puts it just behind Chile and ahead of Portugal in the world wine league table. But the domestic industry today is just a shadow of what it was 30 years ago. Gorbachev’s 1980s anti-alcohol campaign (which included propaganda posters like this one) targeted wine along with spirits and both production and consumption of wine declined dramatically. The Global Wine Statistical Compendium indicates that per capita wine consumption in Russia more than doubled from 6.2 liters in the early 1960s to about 15 liters in 1970s (consumption of other forms of alcohol also rose — wine makes up less than 10% of Russia’s total alcohol intake) then fell dramatically as Gorby’s program gained traction. The Gorbachev crackdown and continuing anti-alcohol efforts pushed wine consumption down to just 3.7 liters per capita by the late 1990s. It has risen since then, up to about 7 liters per capita today. Wine is only now reemerging and is still stained by its association with spirits and alcoholism. I have not visited Russia nor sampled any of the wines on offer there, but the reports I’ve read make it sound like I am not missing too much. There is fine wine in Russia, including some excellent domestic products as you will see below, but the good stuff is mainly imported and very expensive. And the bad stuff is really really bad. In fact I think the theme for this post should be that classic spaghetti western, The Good, The Bad and The Ugly. The good wines are certainly there. 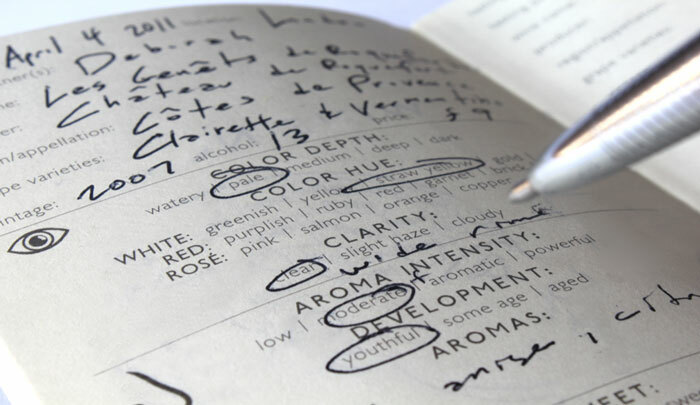 Jancis Robinson’s tasting notes from her 2009 visit to Russia include some tempting wines. A Myskhako Organic Red Cabernet 2008 from Kuban, Russia’s warmest wine producing region, received 16+ points out of 20 with the descriptive note, “Sweet and very wild and direct. Different! Very lively. Really wild tasting. Explosive.” Sounds like something I’d like to try. A Fanagoria Tsimlansky Black 2007 Kuban (16 points) is “Dusty, bone dry, rather interesting flavours with good round tannins and acidity and plenty of fruit weight on the palate. Very dry finish with good confidence.” I’ll have a glass of that, please! Bad wines, and there are many of them, reflect Russia’s sorry wine history. It seems like every country has experienced the stage where wines are simple, sweet alcohol, sometimes to cover up faults and disguise poor wine making. These bad wines still figure prominently in Russia. Wine for the masses sells for less than $1 a liter in many cases and it seems to be sourced in bulk from whoever offers the least cost supply. Imported bulk wines from countries as varied as Spain, Ukraine, France, Argentina, Bulgaria and Brazil are shipped to factories near Moscow and St. Petersburg where they are mixed with sugar (to appeal to local tastes) and water ( to bring the alcohol level down to 10.5 percent), packaged and sent to market. Traditionally much of the wine came from Moldova and Georgia, but these countries are on the Russian government’s political black list and Moldovan wines are currently banned, causing great hardship for a country that is very dependent upon wine for export earnings. Low quality is the official excuse — a Russian health official says of Moldovan wine “it should be used to paint fences” – but it is hard to see how Moldovan wines can be worse than the sugar water wines I just described. I think it’s politics. The ugly wines are frauds — not even made from grapes in some cases. This video report suggests that perhaps 30% of the bottled wine on offer in Russia is counterfeit. This is bad for consumers, of course, but particularly bad for legitimate producers whose reputations suffer from unhappy experiences with fake wine. Thinking of trying to sell your wines in Russia? Despite all that I’ve said, many people see great potential in the Russian market. Some are just interested in the “bad wine” bulk market, but others have grander plans. Russia is a BRIC, after all, one of the fastest growing major economies in the world. Russia will host the 2014 Winter Olympics and the 2018 soccer World Cup; this international exposure may accelerate changing domestic tastes. It is a major market for Champagne, with more than a million bottles purchased annually. As Russia’s middle class expands, a larger market for quality wines can be expected to emerge. So it is not surprising that winemakers are testing the waters and negotiating joint ventures of various sorts. There are reasons to be cautious, however. Alcoholism is still a major concern in Russia and the expanding wine sector will have to swim against a prohibitionist tide. Tastes and social attitudes will change as better quality becomes available, but the transformation will not happen overnight. And then there’s the “oil patch” problem. Petroleum is a major driver of the Russian economy and this introduces an element of economic instability. Exporters will need to be able to ride out falling oil price effects in order to benefit from high price periods. Finally, there is the Russian legal and administrative systems, which make it difficult to bring wines into the country and to assure payment. The fact that some in the Russian government would prefer that the wines stay away – because of the alcoholism problem – probably contributes to this problem. It is easy to be very pessimistic about wine in Russia given its current state and recent history, but I believe that cautious optimism is warranted for the long run. There are many cases of countries that have opened up their wine markets with positive results and perhaps Russia will follow this path. In the meantime, it looks like a difficult project. An interesting piece of information about the market dynamics of the Frescobaldi wine family in Russia, composed by Paola Perfetti from ItalyNewsWeek. “The Frescobaldi” is an Italian winemaking dynasty that produces wine for more than 700 years. Their barrels used to enjoy the British Royal Court and popes in Rome, during the centuries. 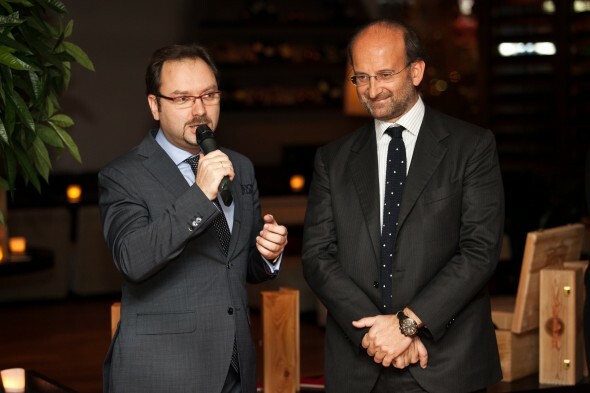 Nowadays, the Marchesi de’ Frescobaldi group exports 65 percent of its 9 million bottle annual output to 85 countries and is looking to win over consumers in Russia and other new markets. In this period, Frescobaldi’ strives to reach some main markets such as the United States, Germany and Switzerland but it is also concentrated on Russian markets, where sales of the Frescobaldi wines (whose retail price varies from 10 euros to 200 euros ($280) per bottle, with the exclusive Masseto red fetching up to 500 euros, Reuters.com, ndr) have been brisk in south eastern Asia and Russia. “Russia has been the best performing market this year for us,” Lamberto Frescobaldi, vice president of the group, told Reuters at one of its main estates perched among the hills 30 km northeast of Florence. Even if Russians go on loving vodka drinking tradition: “There are lots of consumers there with a strong desire for high quality goods … Russians are very open to Italy, to our lifestyle,” said Frescobaldi, who is in charge of production at the group. Why Russia and not Asian markets? Japanese and other Asian consumers are interesting for Frescobaldis, too, but the group admitted to be cautious about approaching the Chinese market where its French rivals have been rapidly expanding. For Reuters, Italy’s wine makers have been slow in conquering the immense Chinese market, but Italian wine exports there have surged 242 percent so far this year, Italy’s biggest farmers association Coldiretti said this month. “We want to have clients spread in various markets to give a security to the company future … We want to make wine today, tomorrow and the day after tomorrow,” said Frescobaldi, 47, who represents the 30th generation of winemakers in the family. Group total sales are expected to rise 15 percent this year from 71.2 million euros in 2009, driven by top-shelf wines including the famous full-bodied Brunello and SuperTuscan Ornellaia reds, he said. The group, fully controlled by the family, owns seven main wine making estates in Tuscany and one estate in the northeastern region of Friuli, each producing wine with its distinct character formed by local climate and soil. I never stop wondering about the communication abilities of Russian wine importers. You will get unbelievably surprised looking at web-sites of those who represent the most famous brands in the world. But most of Russian importers don’t bother themselves with communicating – why should they? 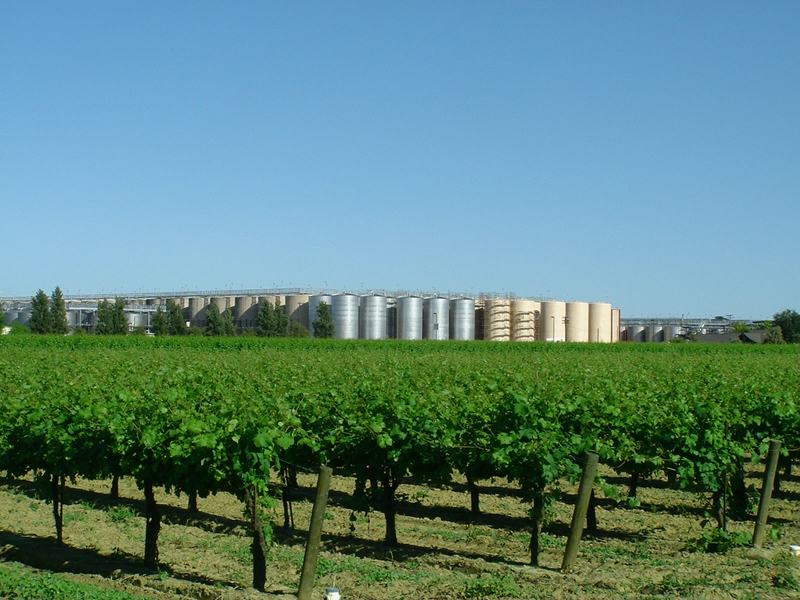 A long living and well-established importer — Vinicom — is a good example. It’s not a secret that weaker companies lost some of their producers during the financial downturn 2008-2009. Another big established importer — Simple – for a long time was known for its aggressive behavior on the market. Just recently Simple has taken two famous Champagne brands from other importers – Laurent-Perrier from Kazumian and Gosset from Graft Trading (seems like they went bankrupt, their web-site not responding). And that’s not all. Another established importer Vinicom seems to be losing some of its producers. The very same Simple has just overtaken the imports and distribution of the famous Cognac house – Hine. My sources told me the cognac house was very unhappy of the way Vinicom staff works and obviously not happy with the sales in Russia. And this is not the first time Simple attracts a producer from Vinicom – Villa Sparina from Italy’s Gavi was taken on board just about a year ago. Still, on Vinicom’s poor web-site anyone can see that both Villa Sparina and Hine brands are still on the list. I even don’t think that this is done on purpose to delude its customers – they just don’t care about their customers coming to their web-sites. The same way you can see the strategy of Kazumian – Laurent-Perrier Champagne still listing on their web site. It was a fatal mistake of the Bureau National Interprofessional du Cognac to let a wealthy Russian explore Cognac in a way he did: just in 2007 Vadim Varshavsky, State Duma deputy and businessmen who made his money selling assets of coal-mining factories, bought Cognac house Croizet for €15 million. Now, in 2009, he is sought by the three European banks at once — Société Générale, BNP-Paribas and Crédit Suisse. 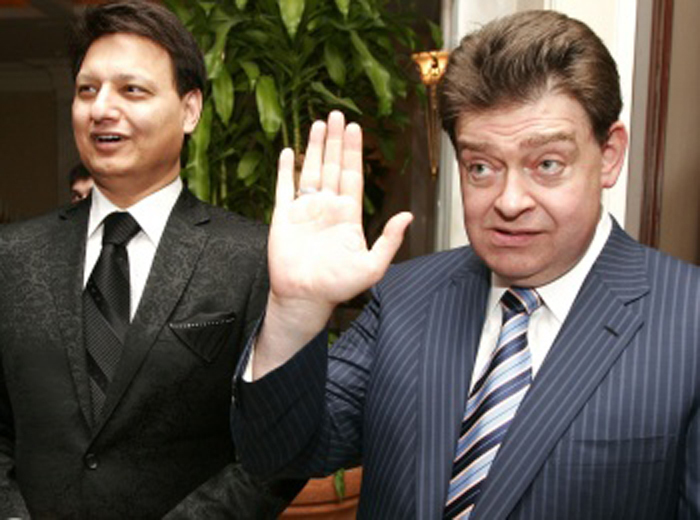 They are looking for him to ask about the credits due, the Russian businessman doesn’t respond to their inquiries since the beginning of September 2009. Foreign investors are not very welcome in Cognac – French government is very concern to protect the distilled heritage of the region and the “Frenchness” of its Cognac producers. Nevertheless, it made an exception in this rule and trusted that Varshavsky would be able to develop the estate and promote Cognac sales amongst wealthy Russians. They didn’t know at that time that Varshavsky’s Russian debts would total an impressive amount of $4-5 bn in 2009. Although the commercial director for Croizet denies the debts of the Russian oligarch has something to do with Croizet, it is a serious question if Varshavsky is going to keep his word and show himself – Russian windfall money has an ability to disappear fast. 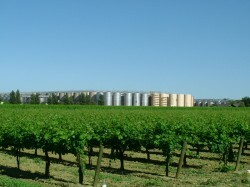 The French aren’t mistaken being afraid of Russian investments – for example, they might not have ever heard about the huge distilled spirits producer and importer from Moscow – KIN, that publicly bought Domaine des Broix in 2004 and since then actively promotes its produce as “French” (although they are bottled in Russia). At last — «Russia will reduce bulk wine imports by up to 80% in volume this year», — says today’s Decanter news. I hardly can think if this is good or bad for Russia. On one hand, we are so tired of Russia-bottled pseudo-Russian wines filled with cheap Argentine and Chilean plonk and this natural reduction of bulk wine imports could be good for the Russian wine industry. On the other hand, how will Russian drinkers and importers fill the gap? Without proper wine education programs and the government support encouriging people to drink wines, will we see any good outcome? Studying Russia Wine Project that was published by the Government of South Australia in 2006, I found some conclusions, that would be nice to sound to understand better the «Russian wine» situation. Here are some excerpts from the report. Though I am sure, there’s more fresh data. «Russia has many unique viticultural practices, partly a factor of climate and partly a factor of low labour costs. For example, sub zero winter temperatures of -30C require some vines in the Stavrapol region to be removed from their cordon wire and laid on the ground and covered with earth to survive the sub-zero temperatures». «Like the United Kingdom, substantial Russian consumer wine purchases are made through supermarkets. Specialised wine shops also operate and the total retail market is currently very active following a number of significant events during 2006 (including the bans on wine from Moldova and Georgia)». The first half-year of crisis in Russia tends to decrease fine wine sales dramatically, the leading Russian business newspaper Kommersant says. For the first 5 months of 2009 demand has fallen significantly and, most of all, in distilled spirits – cognac, tequila and rum sales collapsed 37%. Wine is the second victim with 26,8% down. Surprisingly, vodka sales went down 24%. And beer seems to be the beverage Russian are most addicted to – its sales are only 8% down. With fine wines I believe the situation is much worse – up to 40-50% down. On the other hand, the supermarket and boxed wines sales support those importers who have them in their portfolios.